This painting has just reduced me to tears!!! 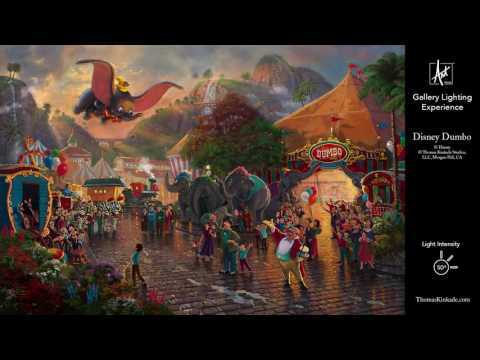 Dumbo is my all time favorite Disney film, it makes you laugh, it makes you cry!! This picture to me captures everything! I have “Beauty and the Beast” as the first painting in my living room and I can still gaze at it for hours and find something new!! I will never tire of its beauty! You’re an incredible artist and your work is stunningly amazing! Keep up the good work! I hope they come out with a wrapped version of this to match my other Disney wraps!! I’ve so enjoyed seeing all of the Disney creations of Thomas Kinkade. 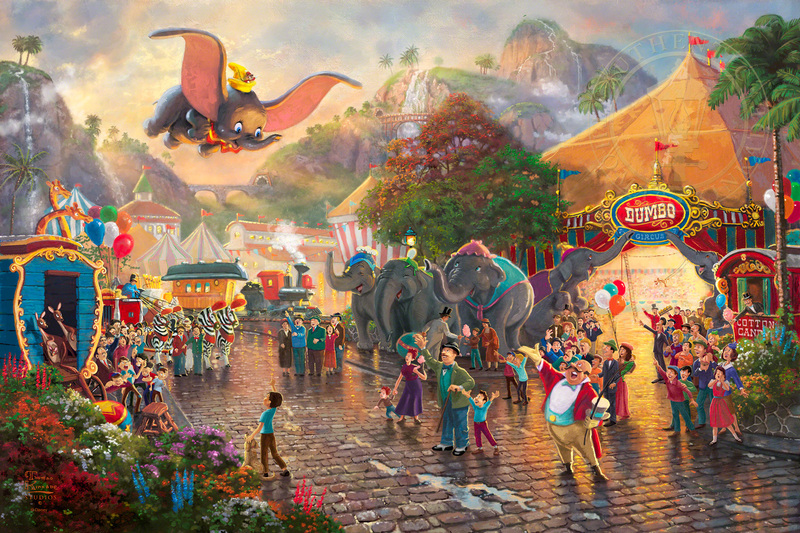 I am overjoyed to see that there is now a Dumbo painting, as it has always been such a special and touching story to me. I hope that it is in line to become one of MCG Textile’s cross-stitch kits. I’m currently working on Little Mermaid, and it would make me so happy to be able to cross stitch this piece someday.